Clive joined Seven West Media (ASX:SWM) in 2015 as the Chief Digital Officer for Seven West Media and as a non-Executive Director at Yahoo 7. He oversees and oversees all strategic and operational aspects of Seven West Media’s digital content and digital revenue activities. Clive’s career to date has been a unique Digital/Broadcast media hybrid – never very far from Broadcast Content nor from a Digital team and boasts over 30 years’ experience, which has taken him from New York to Los Angeles, Mumbai to Johannesburg, Budapest to Berlin and London to now Australia. Clive’s first digital role was in 1995 with the multi award winning team at Capital Interactive part of then one of the largest Broadcasters in the UK. Clive was also an advisor to the founders of the world leading mobile company Shazam used by more than 700 million people in over 60 countries and was recently valued at $1bn. Since Shazam, Clive has also advised a number of other successful digital start-ups, helping them achieve growth, maturity, IPO or exit. In 2008 Clive co-founded Absolute Radio for the Times of India – the World’s largest English language newspaper publisher as COO. Absolute Radio has a world leading reputation for Digital, Social, Mobile innovation with more than 77% of its audience via a digital platform. Absolute Radio pioneered the new ‘In-Stream’ premium marketing platform. Clive was also a Founding Director of UK Radio Player Ltd, a joint venture between UK Broadcasters and the BBC that is used each month by 6m users to simplify discovery of live Broadcast Content. 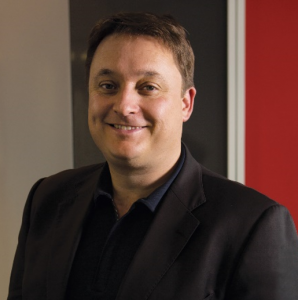 In April 2013 he relocated from the UK to Australia to take the reigns as Director of Digital and Innovation at Southern Cross Austereo (SCA), overseeing strategic and operational aspects of the company’s diverse and multifaceted digital content and free-to-air television platform. During the 20 months Clive was at SCA, his digital team achieved a 700% increase in digital traffic, which in turn drove 50 % increase in digital revenue and EBITDA by over 90%. Clive is one of the Founder Directors of Code Club – a not for profit after-school coding club for Australian primary school children funded in part by a grant from the Telstra Foundation.